Chamber Luncheon: "Your Business & Cybersecurity: The Struggle & Need is Real!" Name: Chamber Luncheon: "Your Business & Cybersecurity: The Struggle & Need is Real!" Cyber attacks have become an almost daily event affecting all sizes and types of businesses. Many struggle with information security deficiencies and common security weaknesses that can elevate their risk for data breaches. The average cost of a data breach per compromised record can cost $225+ each in the United States. Understanding YOUR level of risk is the first step. 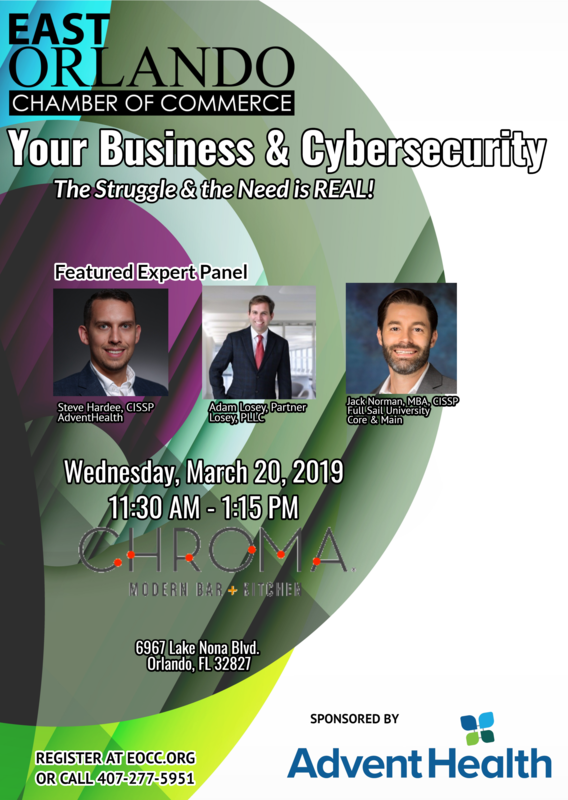 Join us for our March Chamber luncheon for "Your Business & Cybersecurity: The Struggle & Need is REAL". Our panel of experts will discuss threats, vulnerabilities and how to protect yourself and your company.